Security is like insurance: It seems expensive until you suffer a loss. Then you wonder why you didn’t have more. After all, eliminating an on-site, after-hours security guard might save you dollars every month, but it increases your vulnerability. Is the reduction in cost worth the increase in the risk? According to the 2016 Equipment Theft Report by the National Insurance Crime Bureau (NICB), there were nearly 12,000 construction and farm equipment thefts reported in 2016. Of those, only 2,442 (21%) were recovered. The main reason for the low recovery rate was that there was a lack of information to give to law enforcement, but this is well within the control of construction companies. A list of equipment with serial numbers or applied inventory numbers can be maintained for little to no cost, and this list can be submitted to law enforcement and insurance companies in the event of a theft. Maintaining equipment data is just one of the many construction site security procedures that managers can employ to improve security while respecting the budget. Motion sensors: You expect lots of moving around during normal hours, but the site should be vacated after the working day ends. Install motion sensors around the site that are active during off-hours. These sensors will trigger alarms whenever they detect movement on your site when there should be none. Photoelectric sensor beams: Another way of detecting motion, a photoelectric sensor creates a beam of light that travels from a transmitter to a receiver. When someone walks through the beam, the light from the transmitter is blocked from the receiver, which triggers an alarm. Vibration sensors: Vibration sensors will immediately pick up the tremors given off from any attempts to move equipment when it shouldn’t be moved, and many attempted break-ins. Aggression detectors: An aggression detection system triggers an alarm whenever it detects rising hostility in a person’s voice, giving you time to prepare to prevent any physical aggression from happening on your site. GPS devices: A thief may have successfully snuck away with your equipment, but that doesn’t mean they’ve gotten away. Installing GPS tracking devices on your equipment lets you pinpoint exactly where the crook is taking it. Night vision cameras: Cameras that can see in the dark catch intruders who are trying to take cover under nightfall. Thermal security cameras: Thermal imaging cameras detect the heat signatures of potential intruders that might be hidden by darkness, bad weather or smoke. These cameras also tell the difference between humans, animals and other objects invading the site. Establishing a site culture that embraces security is the least expensive but perhaps most difficult step. But it can also be the most effective. In any security system, human beings are often the weak link. They may give out unauthorized information, or they may simply fail to speak out if they see something out of the ordinary. In some cases, security failures are an inside job. The NICB’s report found that the months with the highest volume of theft were also the months of peak construction periods. These periods are attractive for thieves and ideal for more construction activity because of better weather and longer days. Prepare your team to expect more robbery attempts during this time. As activity increases on a construction site, the exposure to risk increases as well. 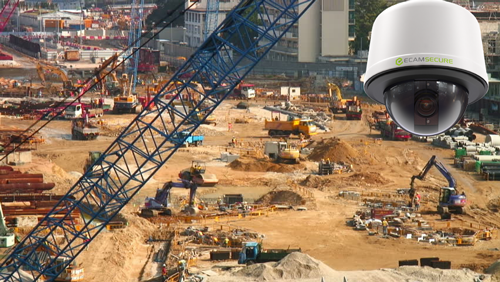 When a lot of people are moving around on a construction site that’s loaded with a lot of equipment, it’s more likely a theft would go unnoticed for a longer period of time. Keeping accurate, timely inventory will increase your chances of recovering stolen equipment. Sometimes, “guerrilla tactics” simply mean using common sense and proven tactics to protect a construction site. Activity tracking, multi-spectrum monitoring, and establishing a culture of security work together to prevent and minimize losses. 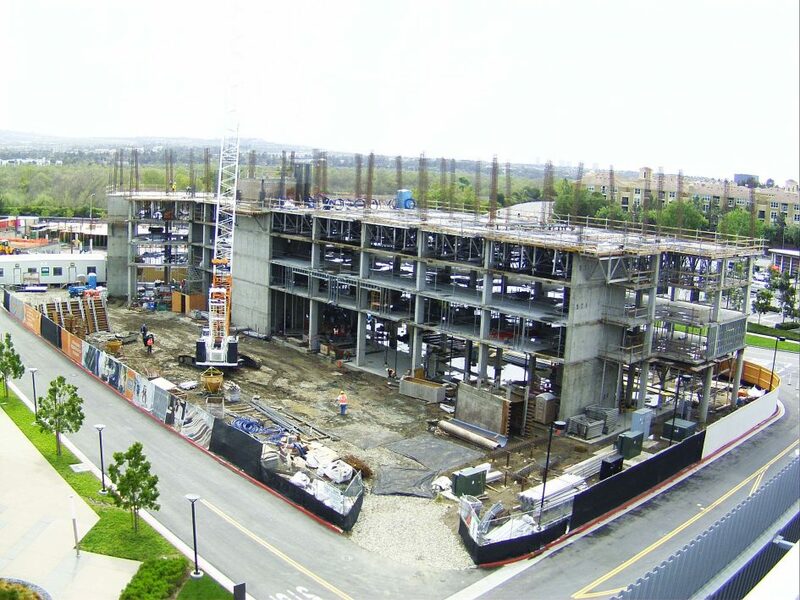 Your trusted security provider will work with you to develop a plan that works best for each unique construction site. 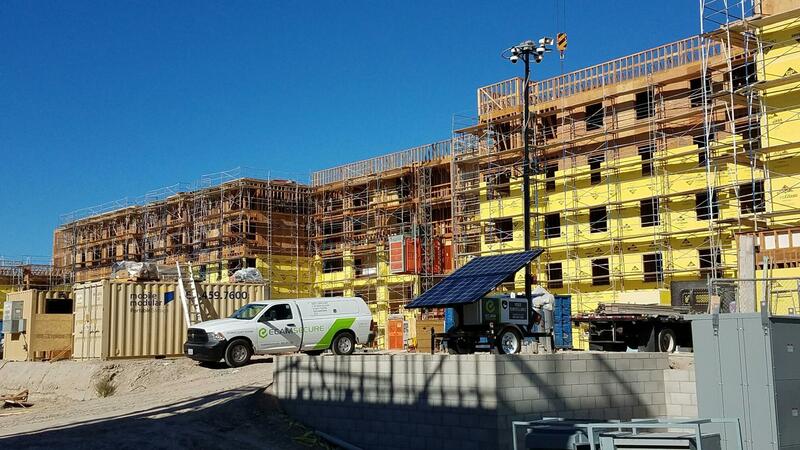 To learn more about security technology, download our latest ebook, “The Complete Guide to Securing Your Construction Site – A Layered Approach.” It provides in-depth coverage on how to secure construction sites from top to bottom.